Pierre Paillard is a small grower‐producer of Champagnes located in the Grand Cru village of Bouzy. 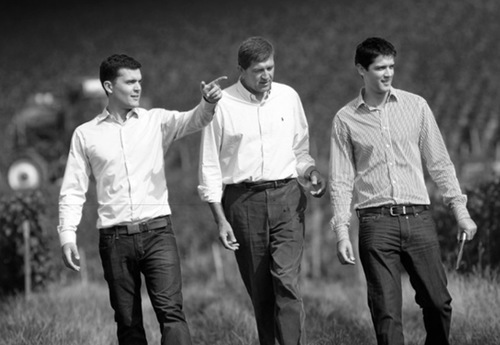 Since Antoine Paillard bought vineyards there in 1768, the Paillard family has been cultivating vines in this prestigious village, and today, Antoine and Quentin Paillard represent the eighth generation in the family and the fourth generation to produce, and bottle the wines under their family name. Bouzy is one of the 17 villages in the Champagne region that has been classified as Grand Cru, the highest classification that can be awarded. It is renowned for producing some of the finest Pinot Noir in all of Champagne as its situation on the south‐facing side of the Montagne de Reims is ideal for the difficult to ripen Pinot Noir grape. The wines of Bouzy tend to be more rich and powerful with expressive noses, and as Antoine Paillard says, the challenge for them in Bouzy is not achieving ripeness as is the case in much of the Champagne region, but rather maintaining balance and freshness. The Paillard estate covers 11 hectares, all planted entirely in the Grand Cru of Bouzy. 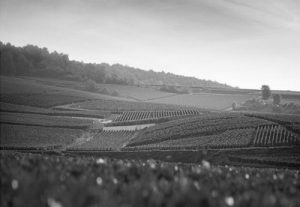 Unlike most others in this village, the Paillard vineyards are planted with 40% Chardonnay. They farm as organic as Mother Nature allows and never use herbicides in their vineyards. They firmly believe that the greatest wines are made in the vineyard and rigorous work is done here to ensure grapes that have the maximum ripeness possible, while maintain good balance and acidity. For the vinification, each plot is harvested and vinified separately in stainless steel vats. Fermentation is carried out at lower temperatures to retain the aromatics and the wines are kept in tank on their fine lees until the spring. Then starts a long process of tasting and blending. 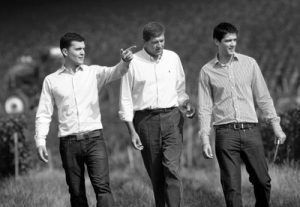 This is a unique moment shared only by the winemakers of the House (Benoît, Antoine and Quentin). Each plot is tasted, marked and commented upon until each person has a perfect feel for the profile of the year. Tests and blind tastings continue until the final choice: The creation of each cuvée. In June they are put into bottle for the second fermentation and kept in their 19th century cellars for a minimum of 3 years and as much as 10 years before being disgorged. Pierre Paillard produces five cuvées. There are two non‐vintage Champagnes, the Brut Grand Cru which is generally a blend of two years and comprised of 60% Pinot Noir and 40% Chardonnay, and the Brut Rosé with a base of 70% Chardonnay, 23% Pinot Noir, and 7% Bouzy rouge. There are also three vintage wines, a Blanc de Noirs from a single .8 acre parcel called “Les Maillerettes” planted in 1970, a Blanc de Blancs from a single 1.5 acre parcel called “Les Mottelettes” planted in 1961, and finally the vintage wine that is only made in the best years and aged for seven to ten years before being disgorged. All wines are finished at relatively low dosage and vary according to the vintage but generally are between 3 – 6 g/L.